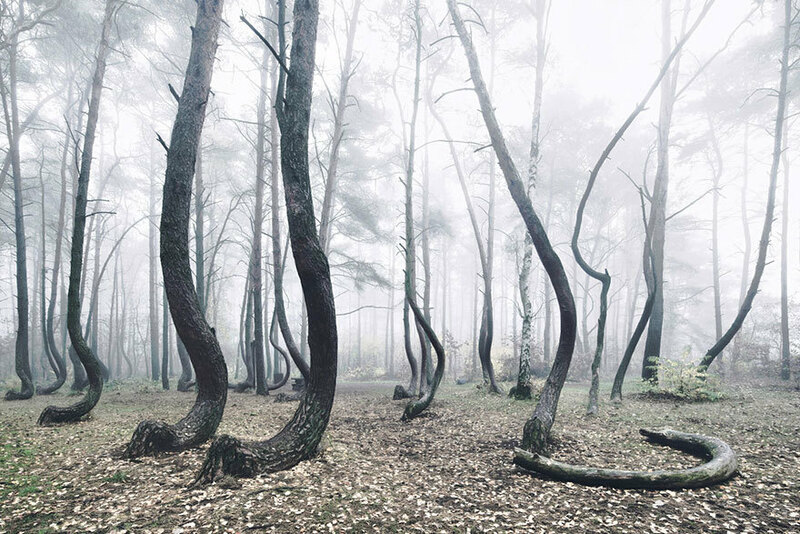 The stand of trees was planted around 1930 in what was then Germany. 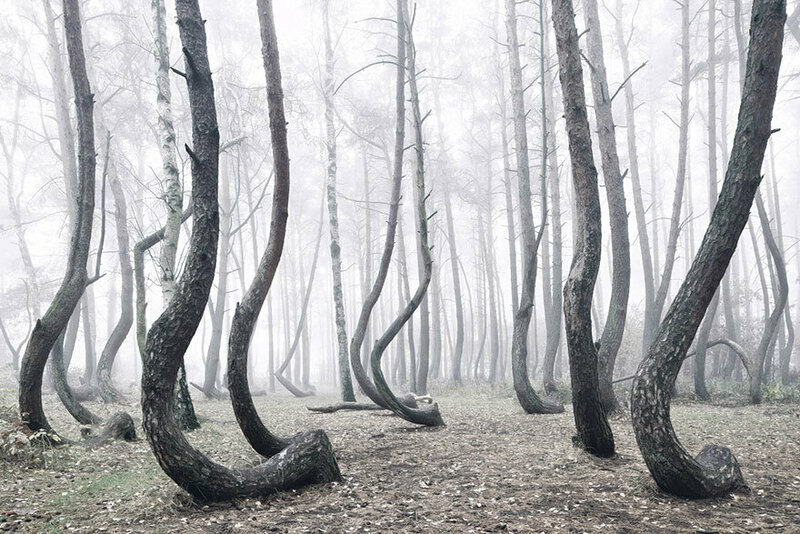 The trees all take a sharp 90-degree turn soon after leaving the ground before sweeping back into an upright position with a graceful curve. 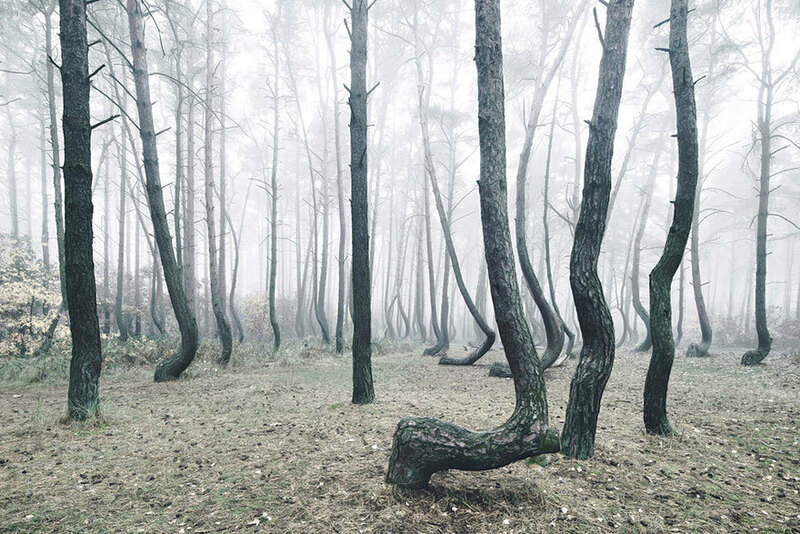 Their strange but beautiful nature is captured perfectly in the below photos by Kilian Schönberger, whom we’ve written about before here. 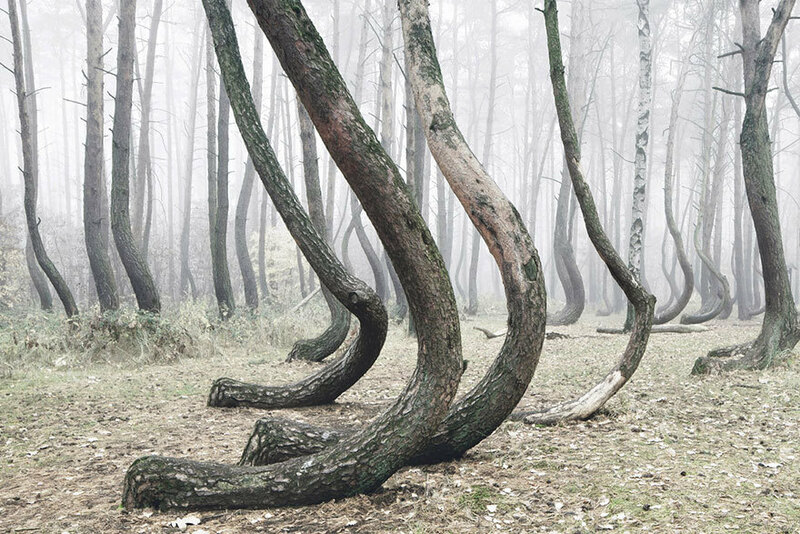 No one is certain how or why the trees were bent, but most believe that it was an intentional, mechanical process. 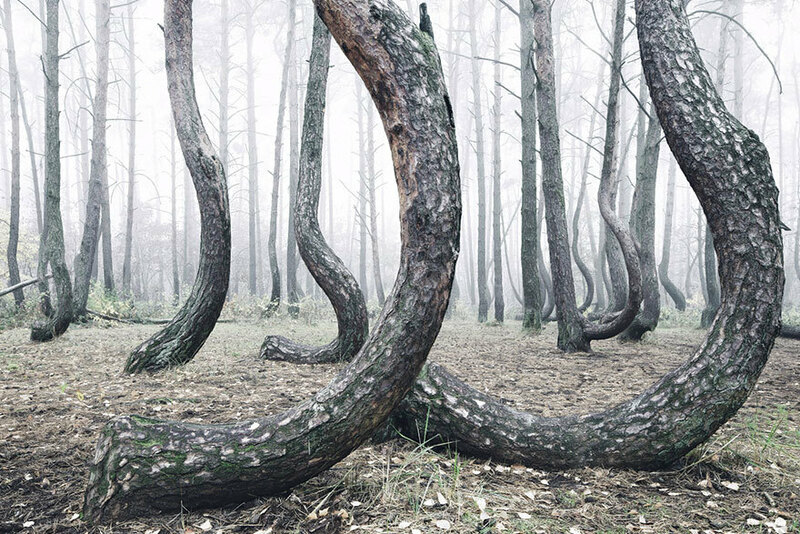 Trees can be manipulated to create naturally bent parts for, beaots, furniture or other applications. 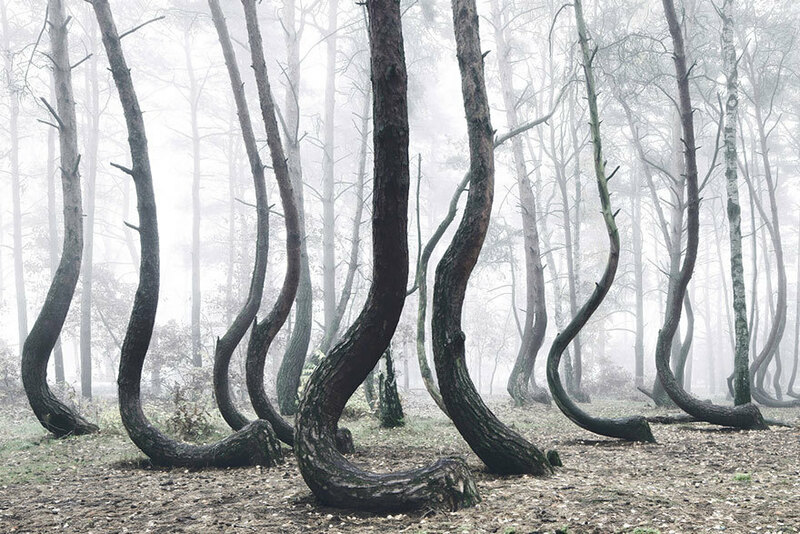 Others have theorized that a severe snowfall could have caused the curious phenomenon.